It’s always harder to make a Worst-Of list than one chronicling the best of Hindi cinema, largely because we’re all so spoilt for choice. Thumb-rules, therefore, come into play. My basic rule is to pick films that come with certain expectations (as opposed to something that stars Sunny Leone or Shahid Kapoor), to look at films made by directors (or featuring actors) who should know what they’re doing, and to leave small B-grade films out of the mix unless they are, of course, truly ghastly. Ranbir Kapoor, who can’t seem to get enough of mooning us in mediocre movies, strikes again with this film. Not just does Dabanng director Abhinav Kashyap squander Kapoor’s considerable talents, but he unforgivably ropes in Ranbir’s parents and makes them plod through this execrable film. This is bilge. The disease called remake-fever has scarcely been more shameless than in David Dhawan’s massacre of Sai Paranjpye’s immortal Chashm-E-Buddoor. That Dhawan takes a modest masterpiece and turns it into trash isn’t surprising, but the true crime lies in the way something so remarkable is turned into something so unbearably generic. Ugh. Boasting that this would be the highest grossing film of Ajay Devgn’s career, director Sajid Khan clearly didn’t expect audiences to throw up all over his planned walk to the bank. The first Himmatwala was schlock, and this remake is schlock as if manufactured by a particularly sadistic director who doesn’t know what a scene is. For once, the mandate from audiences and critics was unanimous. Manish Tiwary’s offensively bad take on Romeo And Juliet mightn’t normally have made this list, if not for a leading man who provides arguably one of the worst performances of all time. Prateik Babbar is dismal here, so so goddamned awful that anybody you can think of — Uday Chopra, Suniel Shetty, your kid brother who’s never acted — would be a fair bit better. A feature-length commercial for producer Preity Zinta to flaunt her dimples, this monstrous vanity project is truly hard to sit through. A man called Prem Raj directs a flimsy film so besotted with its Parisian setting it doesn’t bother to have a storyline, and Zinta is insufferable in the lead. Many a bad blockbuster minted money this year, but Krrish 3 stood significantly below even the Chennai Expresses and Dhoom3s of the world with this spectacularly stupid film, a film that — going by the box office receipts — has instantly lowered the collective IQ of our nation’s children by at least 20 points. And then it sold them wristbands, making them (and indeed, all of us) pay to watch the commercial. It isn’t cricket to poke at a target this soft, but tennis champ Leander Paes talked up his own acting debut far too much, going on to state that he wanted to win Oscars as an actor. Displaying all the thespian bravado of a Wimbledon ticket-stub, Paes is laughably bad in this inexplicable project. Putting a Ram Gopal Varma film in a Worst Of The Year list isn’t sport either these days, but special allowances have to be made for the godfather-of-the-gimmick putting his own credibility on the line by making a sequel to his single-greatest triumph. 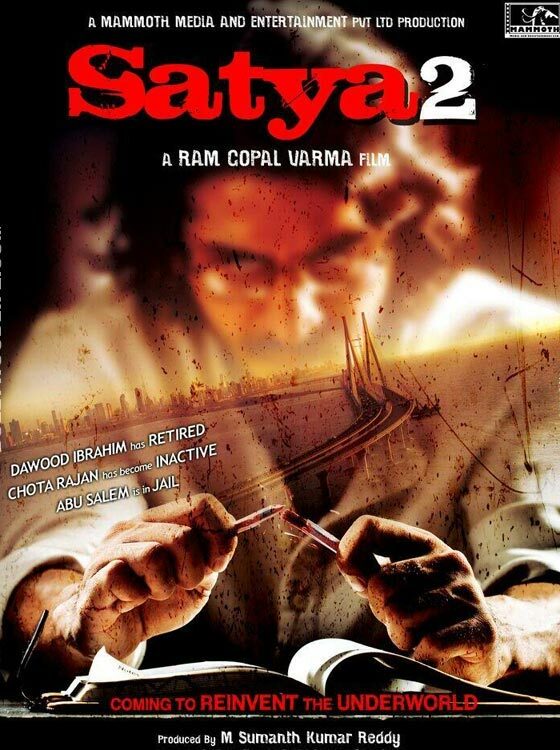 The question was never one of the new Satya proving worthy of the classic, but the amateurishness on display makes it abundantly clear that this Ram Gopal Varma is nothing but a poor, watered-down Part II of what he once was. The name is the same, but that’s about it. Directed by Prakash Jha and featuring an all-star cast — Amitabh Bachchan, Kareena Kapoor, Ajay Devgn — alongside Jha regulars Manoj Bajpayee and Arjun Rampal, this is a mammoth waste of time. A remarkably patchy and inconsistent film, Satyagraha tries hard to draw Kejriwal/Hazare parallels but does so with all the subtlety of a BJP speech. What a drag. Shame on you, Apoorva Lakhia. Shame on you, Priyanka Chopra. Shame on you, Sanjay Dutt. And shame on you, Ram Charan, for trying not just to step into the shoes of Amitabh Bachchan’s most incendiary role but for even attempting to mouth that immortal line about police stations and baap ka ghars. This harebrained, tacky, senseless, woefully acted remake is nothing short of a cinematic crime. I partly agree with your list. I believe Dhoom 3 should be among the top 10 disappointments for the year. After watching it, I believe Krrish was way better. I also went back and read some of your reviews, and found them to be quite negative and biased. Not your fault, we are good at finding faults and cribbing.